It’s a book about making dresses from the Women’s Home Institute, or some such thing, from back when home-making was a soft science like psychology or economics. Sometimes they really don’t make things like they used to. I already have a lot of ideas of what I want to make, and dresses and skirts usually turn out wearable. 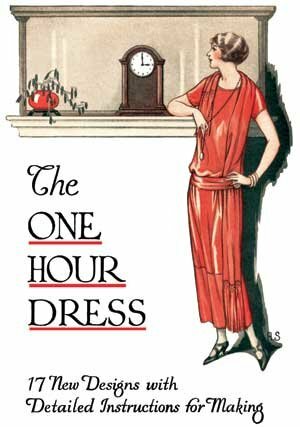 I’ll tell you how sewing these dresses goes and if modern people can actually do it in an hour. p.s. if nothing else at least I have my new avatar..